Hello, lovelies! 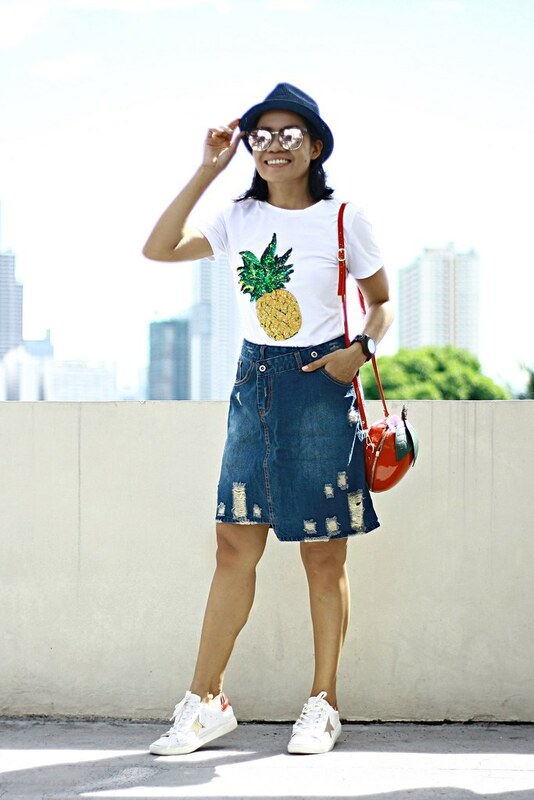 This season's trend is all about floral and fruits may it be in print or form. 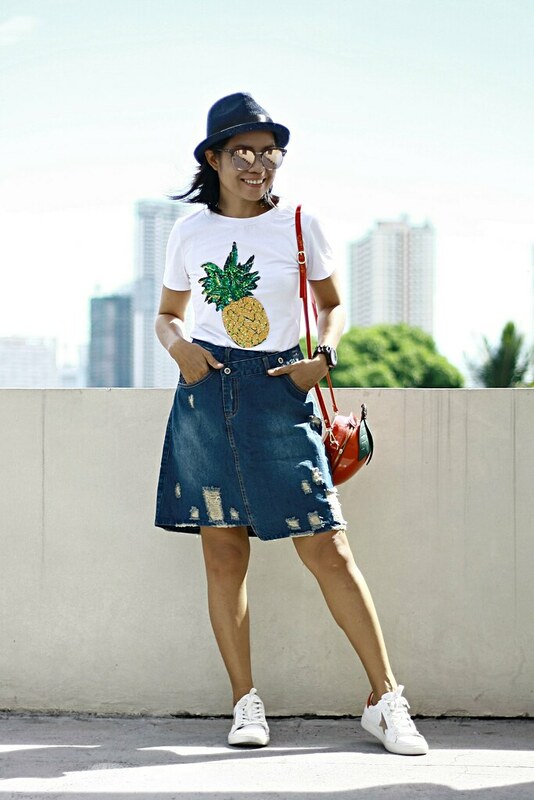 It gives an instant refreshing, youth and fun vibe in every outfit. I'm so lucky to find some of this trend at TRENDSGAL and believe me, this online store is really worthy to check for. I'm impressed the moment I opened the items they sent over a week ago. 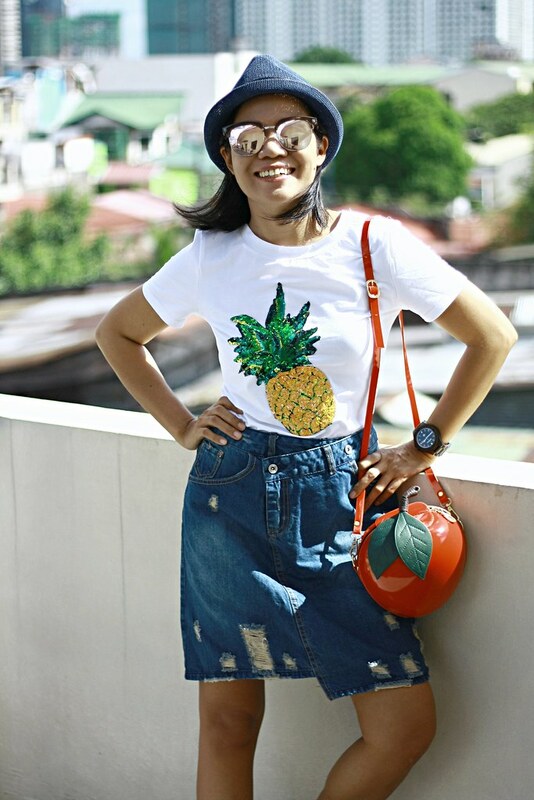 Quality is the key to make me stick and include a store in my top list and Trendsgal made it. I'm not sugar-coating it but I think you have to try it for yourself so you'll know what I'm talking about. Plus, their prices are incredibly cheap. 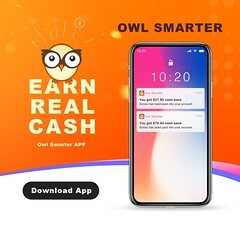 You may want to check out also their Zone Deals where all items are starting from $0.99. 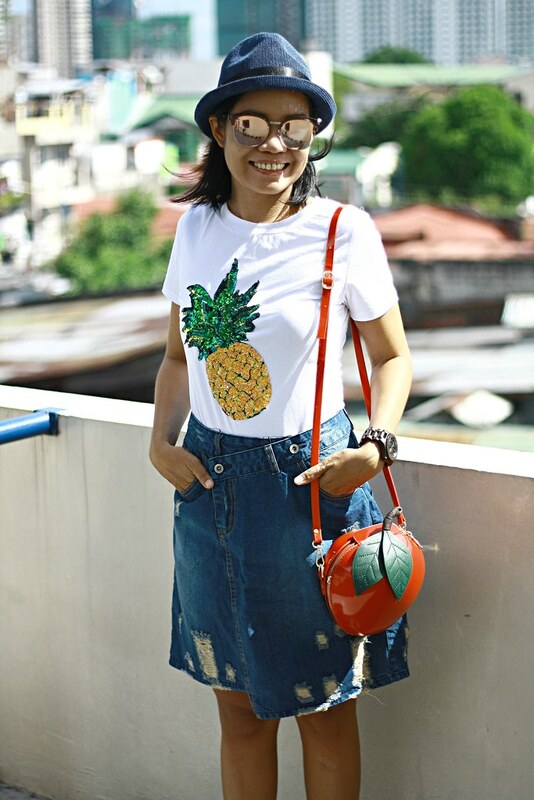 Okay, for today, just continue browsing down to the bottom of this post to know more details of today's casual style post. 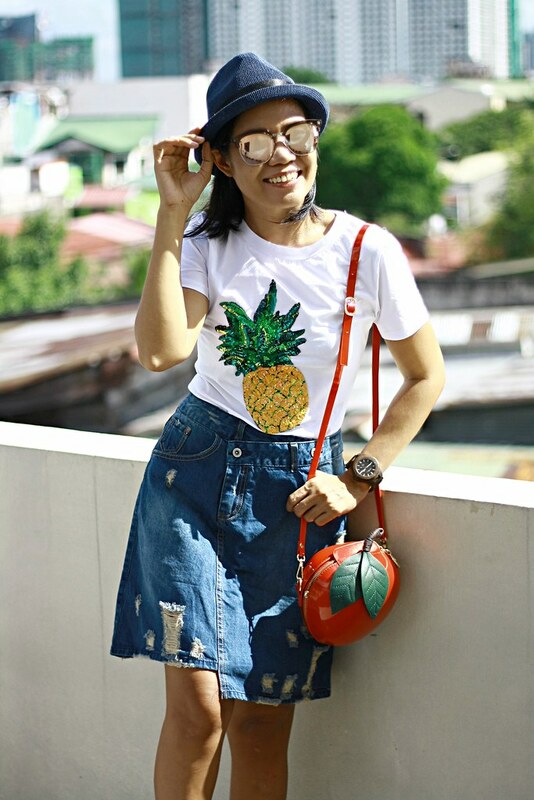 I never hesitated to hit the "add to cart" button as soon as I saw this pineapple embroidered short sleeve t-shirt because why would I think for another second, eh? It's the pineapple that got me sold. 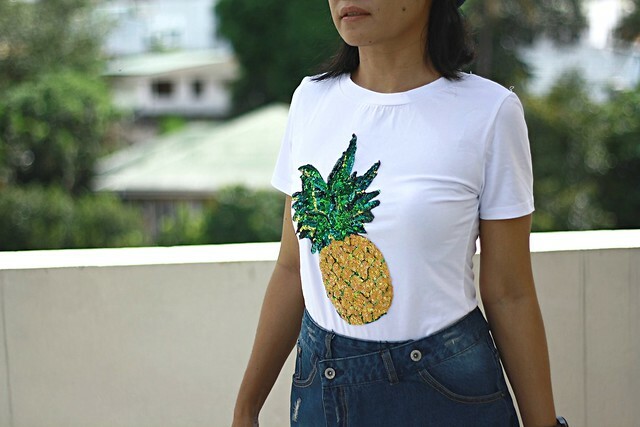 Actually, the pineapple is not printed but embroidered to correct the description on the product page. It is not just printed on the t-shirt but it was neatly embroidered in sequins; there you go - embroidered sequins. And that makes this t-shirt even more gorgeous and fab! The material is great; a bit stretchable and in pure white. I got mine in Medium and it's a perfect fit to me. It looks exactly the same as seen on the product page. I love unique designs. 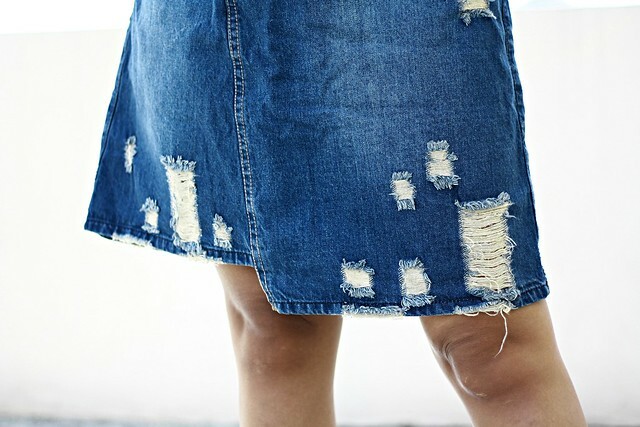 That's why I didn't let this fashionable broken hole irregular cut denim mini-skirt go out-of-stock without me getting one for myself. What I saw on the product page is what I got exactly. I love this skirt so much! Look at that! It is so stylish making the waistband and the buttons put irregularly and not in line. The broken holes design are just minimal and the back pockets are surprisingly unique. 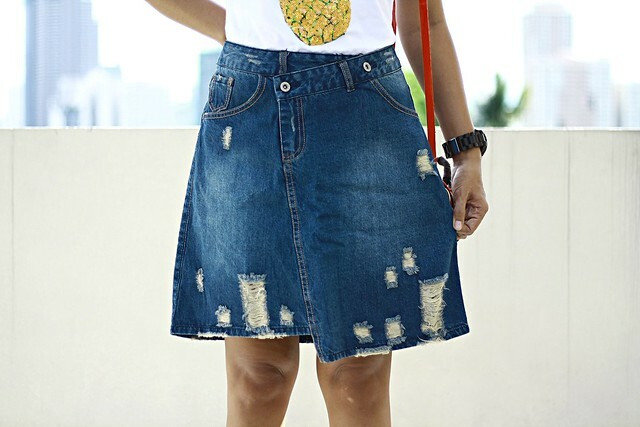 The top of the cherry on this skirt is the denim material; it is so nice and it doesn't bite the skin on my thighs. It is smooth when worn. 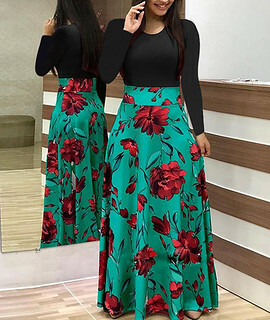 This skirt is not intended to style with a belt or else the design of the waistband will be useless. This vintage curly brim ribbon breathable straw hat is perfect because it has holes where there's more air to seep inside the hat leaving your head a bit cooler than the usual summer hats. 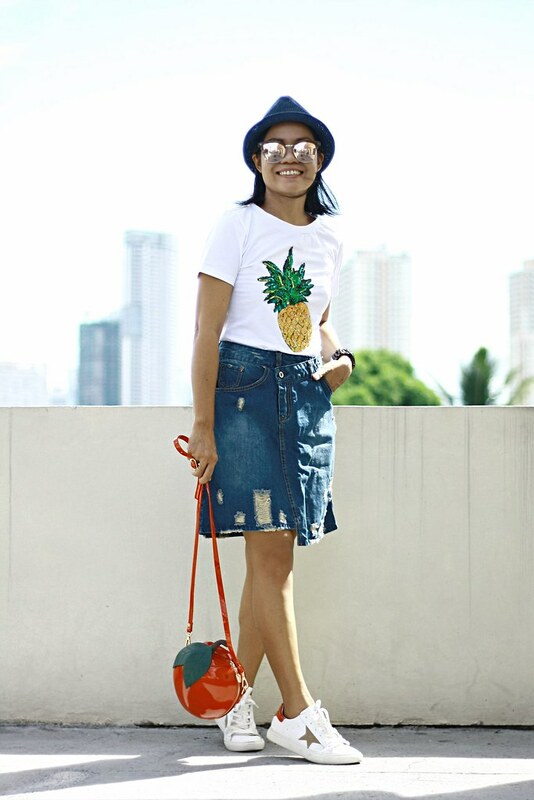 It matches my denim skirt, too! You may want to check out other available color in green. It's the fruit trend that made me order this zipper around fruit-shaped crossbody bag and I figured it's more of an apple to me. What do you think? 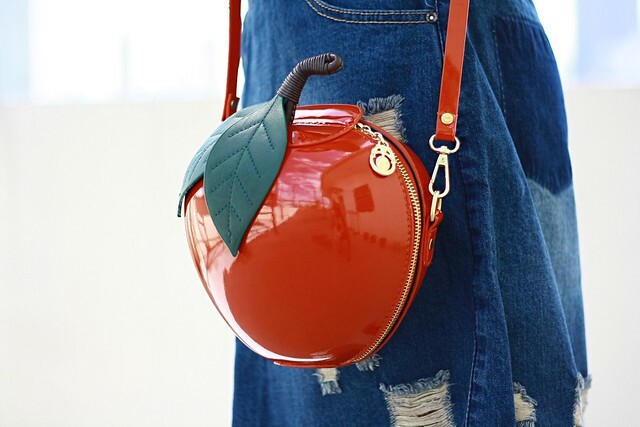 I just can't resist not to have one of this very,very red fruit shaped bag with leaves. It's fun and perfect this season. It gives me an instant fun vibe. No wonder I'm all smiles while shooting. Haha! 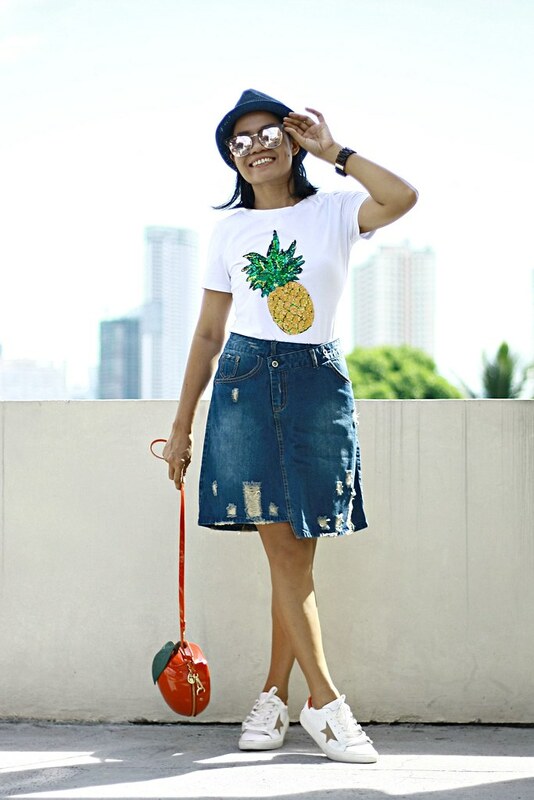 Can never get enough pineapples!